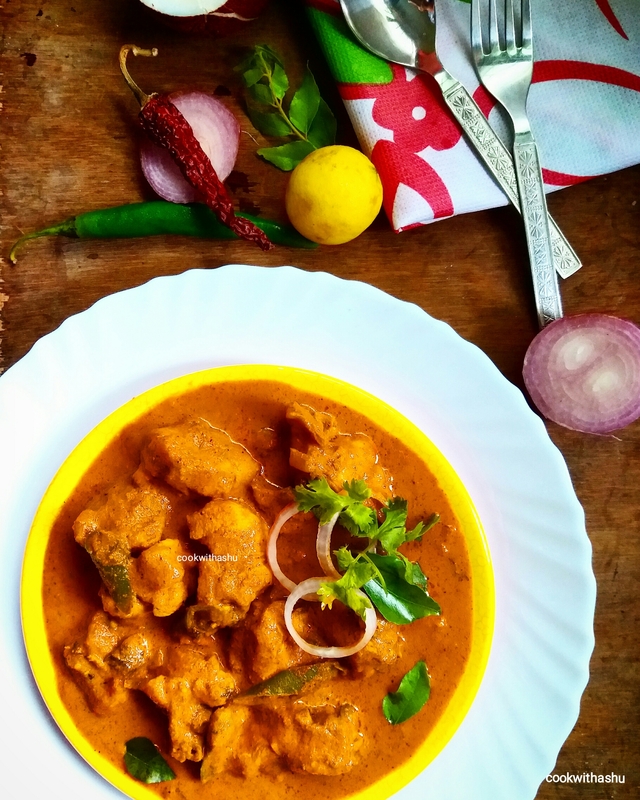 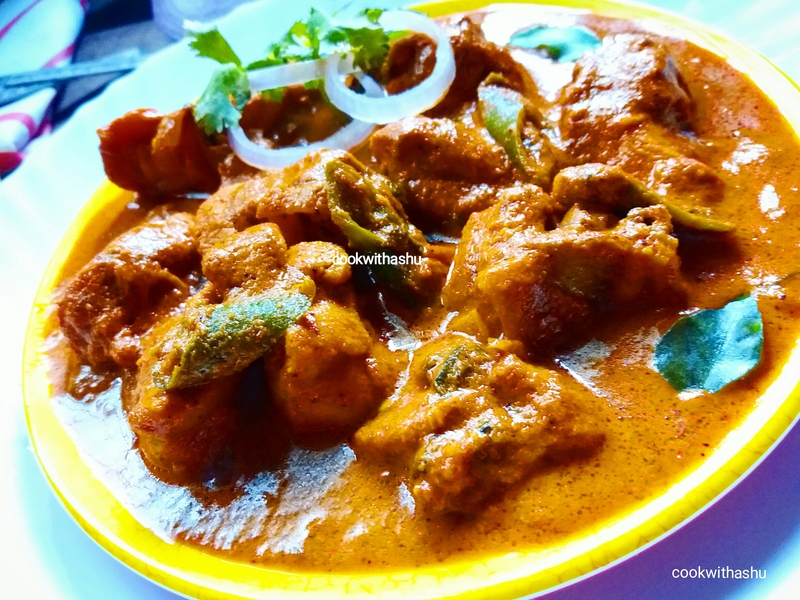 Are you searching for some spicy desi style chicken then here is an end to it,here is my version of Desi Murgh ,which I make when I fall short of time or when I like to taste something chat Patankar,its semi dry in texture and tastes extraordinary, a fingerlicking recipe! 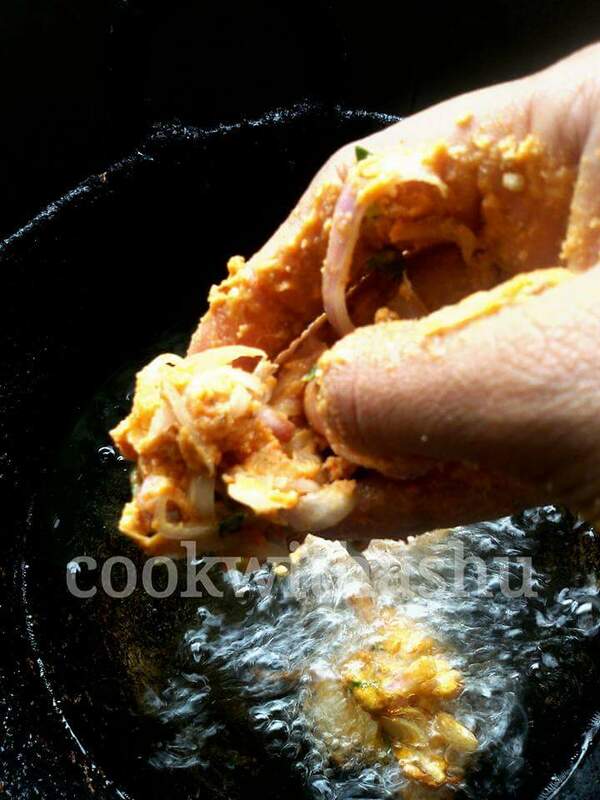 ▪Add salt ,coriander leaves ,pepper powder and cook further till semi dry or dry as you like . 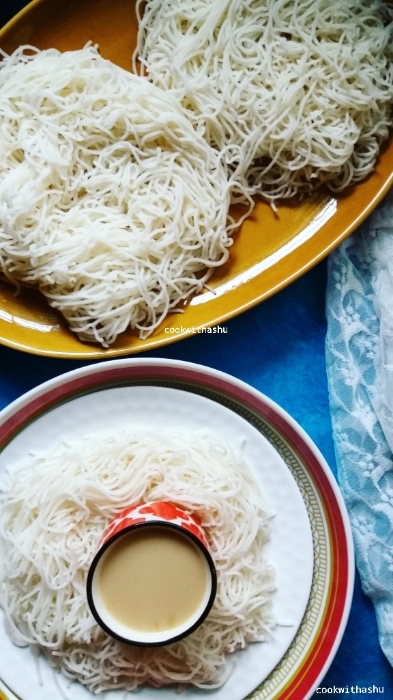 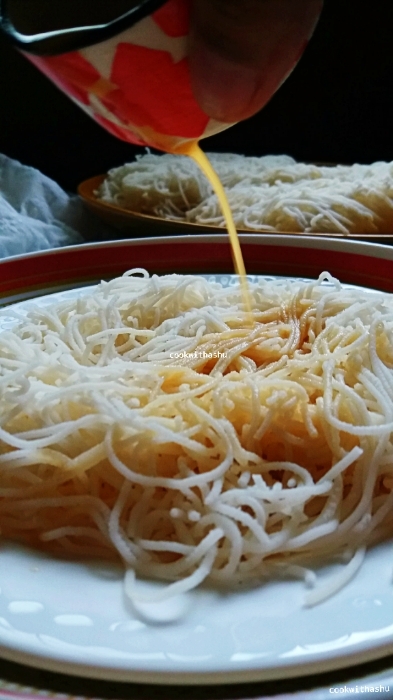 Idiyappam is an age old healthy recipe followed for generations …It tastes awesome with coconut jaggery milk or any spicy curries or with veg stew or even with pickle and coconut oil..
▪Grease the inside part of an Idiyappam maker or Chakuli mould with oil and fill it with the prepared 1 or 2 steamed rawa balls and press it in a circular motion on a plate in the form of long strings in circular motion. 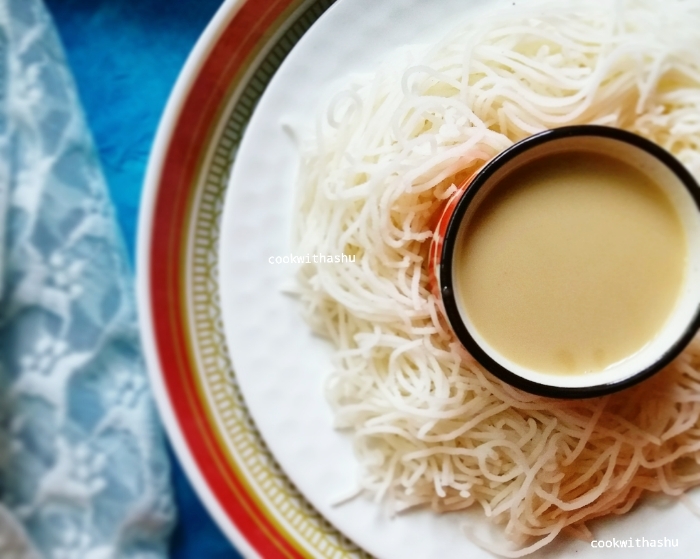 ▪Instant way of making coconut jaggery milk dissolve grated jaggery(use as per sweetness) in 1/4 cup warm water then bring it to room temperature add ready to use coconut milk ,add 1/2 tsp cardamom mix and enjoy. 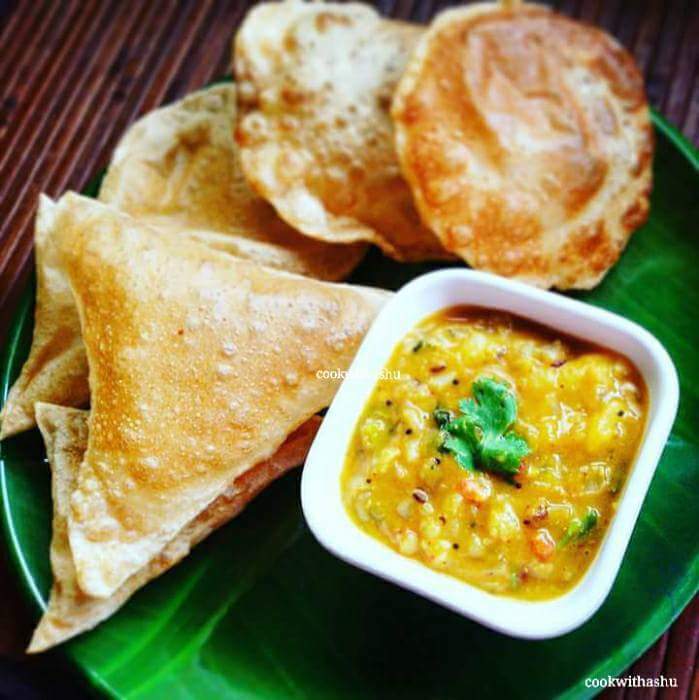 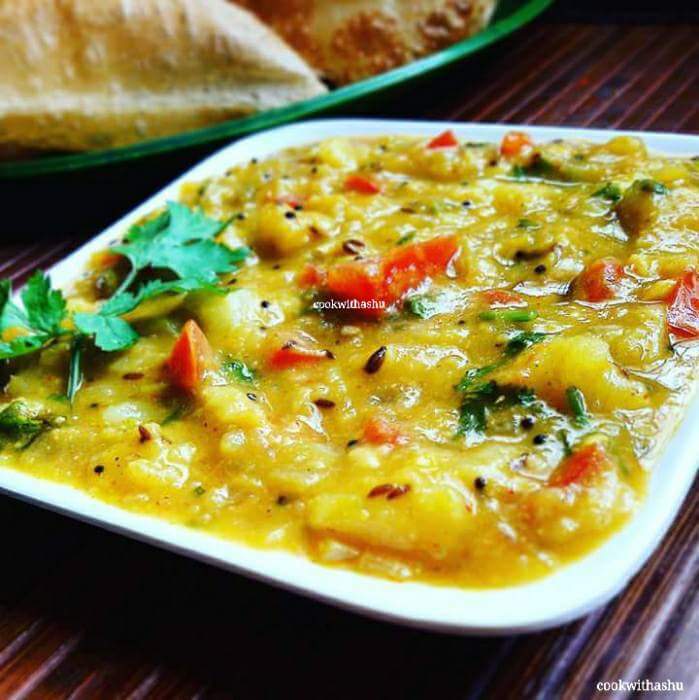 Today I am here with a tried and tested easy recipe of very famous banglore MTR ( Mavalli Tiffin Rooms ) resturant style Potato saagu…..
▪At the same time take 1/4 cup water add add the Putani dal powder and mix well to make a paste see that no lumps are present and add it to the above boiling mixture. 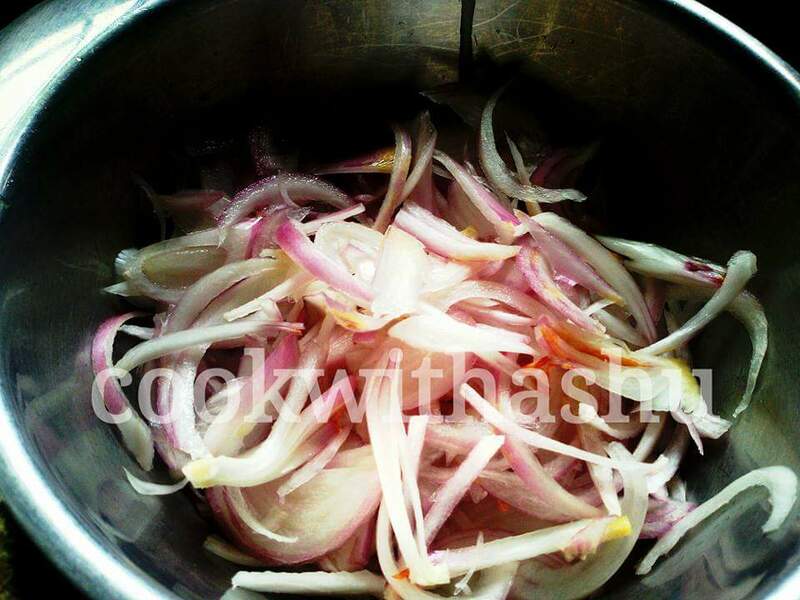 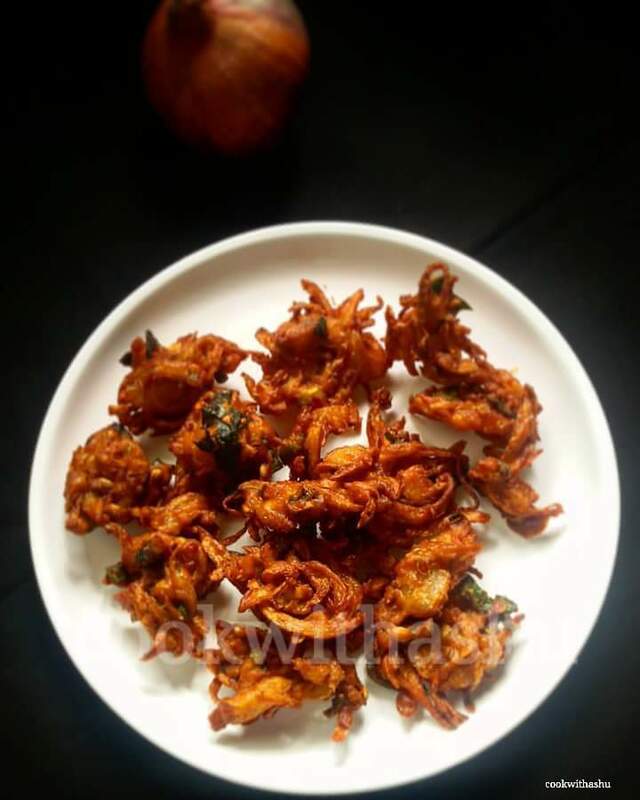 Here is a resturant type ONION PAKODA / PAKORA/FRITTERS recipe for all you dear friends 😍😍😍 …..
From the below recipe you get just perfect restaurant type crispy, delicious non oily onion pakoras…..Just enjoy making this within minutes for evening tea / coffee or club this along with lunch as a sidedish or enjoy it with your guests or friends…. 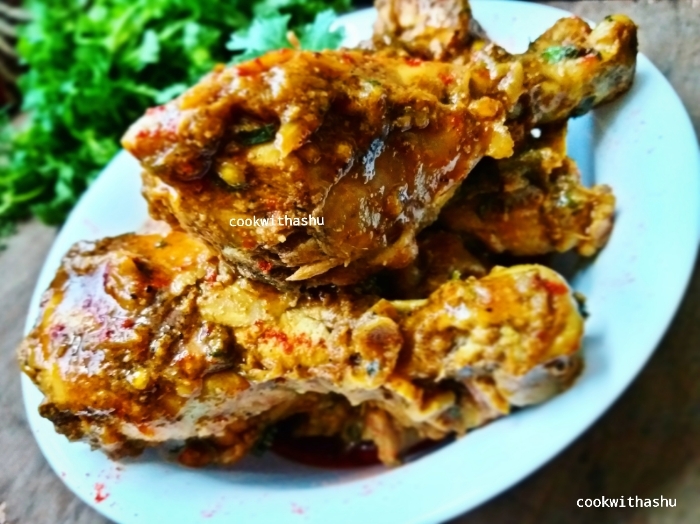 Easy to make when you like to munch on something when it’s raining or during kitty parties 😊…. 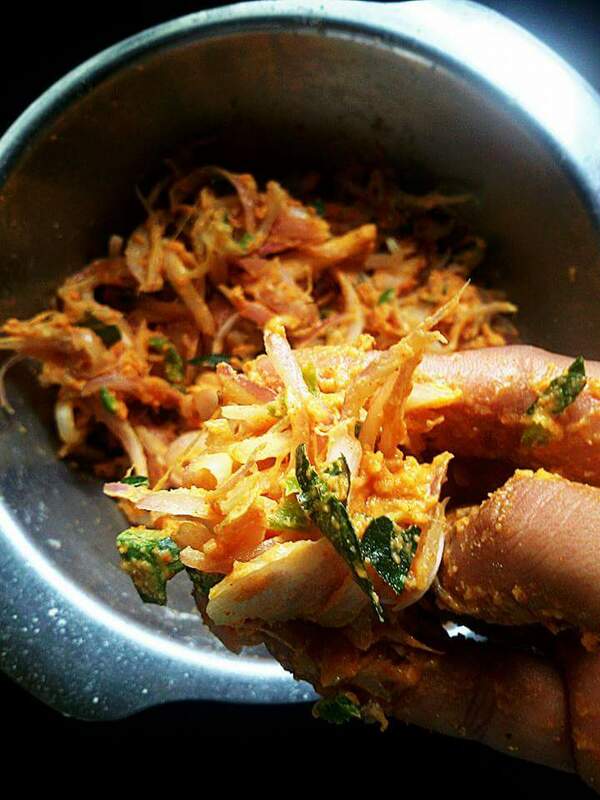 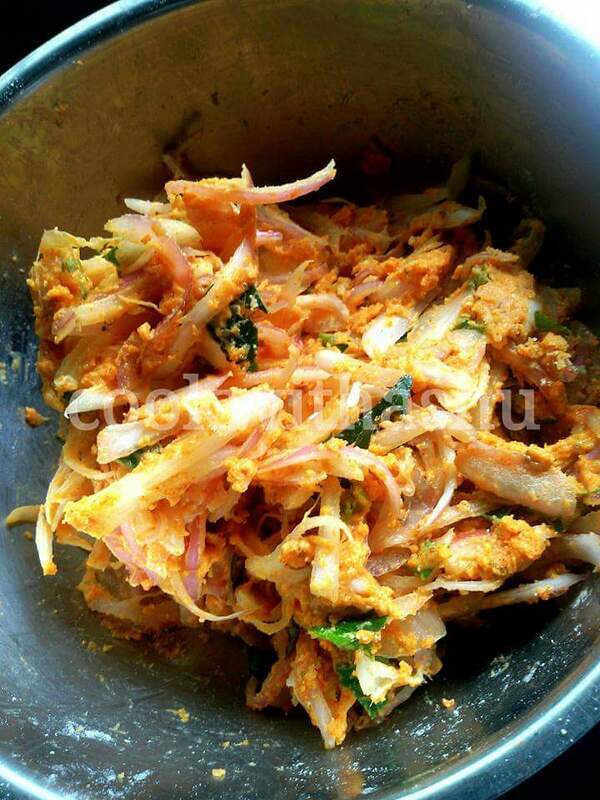 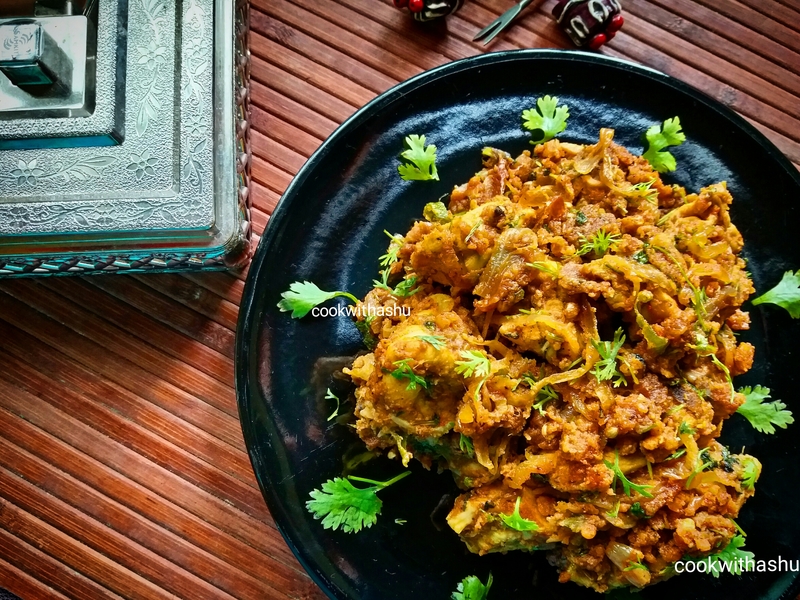 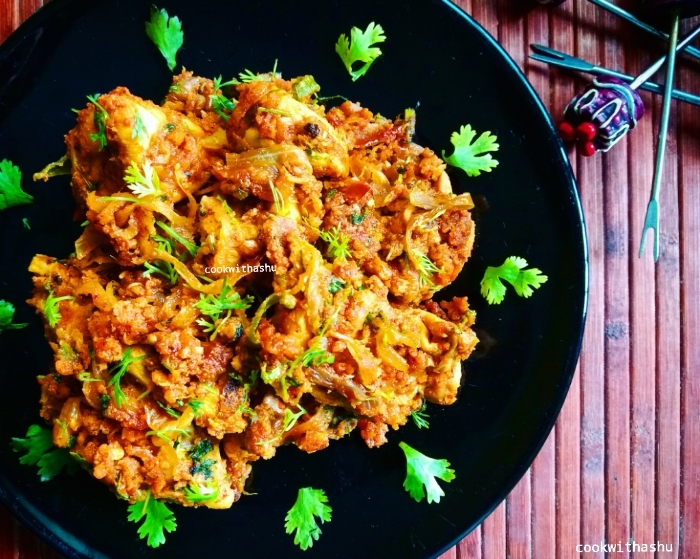 I can say innovative recipe at its best so I gave it a classy name “Pakoda wale Murgh” 😍😍😍…. 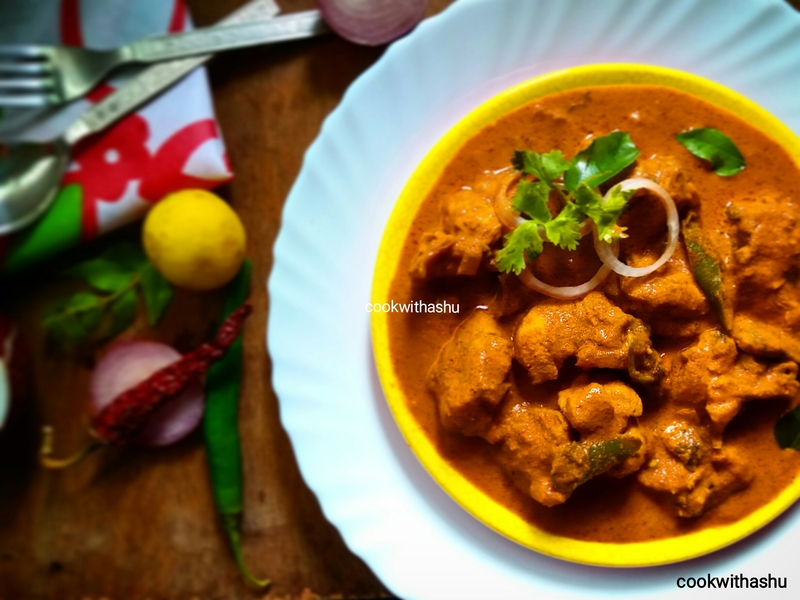 Relish this fully dry or semi dry along with rice as a side dish ..
▪In a kadai add chicken,salt ,chilly powder,turmeric,ginger garlic paste and 1 cup water and boil chicken till done ..
Chicken Kholapuri Masala/ Curry…. 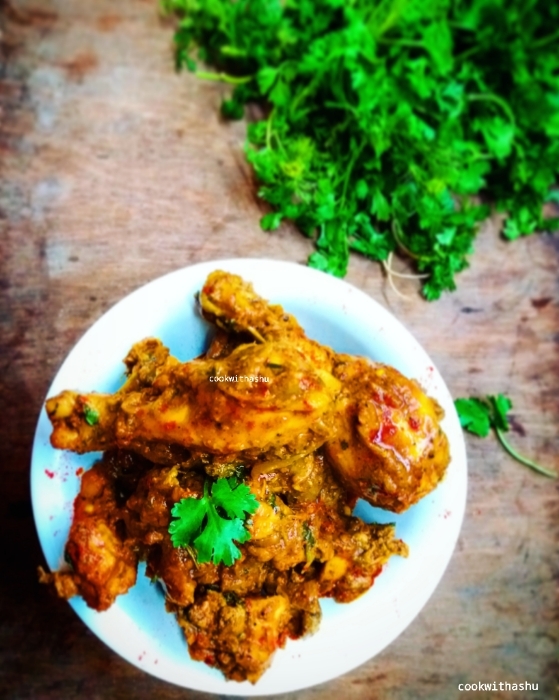 All Maharashtrian recipe are very famous for their verity of non veg dishes.. 😊 Among several dishes Chicken kolhapuri is one such dish which tastes awesome 👌👌👌 ..It’s rich, thick spicy gravy which goes perfectly well with all types of rotis or naan or plain rice or flavoured rice ( like ghee or jeera rice)…..
▪Heat a thick kadai or pan add oil,heat well add in onions chopped fry translucent then add in tomatoes,salt fry well add chicken and toss well and allow it to cook well ..
▪when chicken is almost cooked add the ground masala,green chilles chopped and cook till oil seperates (check salt,as salt is added during marination)add coriander leaves,lime juice mix and switch off flame and enjoy..
•you can even roast cinnamon,cloves ,nutmeg,star anise,cardamom and grind along with other ingredients but I like this version of mine..
•Instead of chicken you can even use eggs, potatoes or mixed vegetables of your choice..